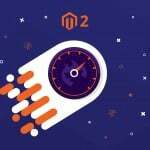 With the help of this Magento 2 extension, you will easily move all orders and order-related data to your Magento 2 store. Due to the usage of CSV files, you can move orders from Magento 1 or even third party ecommerce platforms. 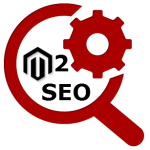 Note that the extension is designed to import/export related customer data, so billing,shipping, and email addresses are preserved as well. Furthermore, the Import Export Bulk Orders Invoices Shipments extension supports both registered users and guests. If a guest user is already registered, the order is assigned to his or her account automatically. Another important aspect of the module is related to the ability to accept custom order numbers. Moreover, Import Export Bulk Orders Invoices Shipments for Magento 2 supports custom order number extensions. Alternatively, you can leave the appropriate field blank for auto increment. While exporting orders, you should specify a time period, set CSV delimiter and enclose values, and decide whether to export order addresses and historical tax and product data. In case of import, you also choose delimiters and enable/disable such features as Update Order Address, Skip Product Lookup, Create Invoices, Create Shipments, and Use Historic Tax. 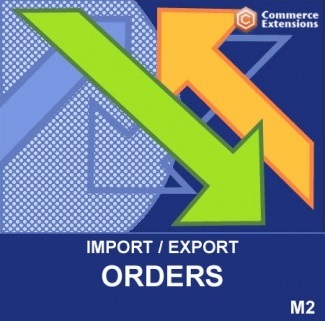 Perhaps, Import Export Bulk Orders Invoices Shipments for Magento 2 is one of the most complicated import/export solutions in the portfolio of Commerce Extensions, since it offers a lot of options in comparison with other company’s tools, but the tool is still easy to use. At the same time, you can fine tune bot import and export. As for the price, Commerce Extensions charges $200 for the module.